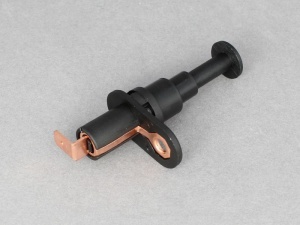 Telescopic door switch with black plastic plunger and body. Contact is made/broken when plunger is approx. 3mm from full extension. Suitable for ground switching to operate interior lights, 'lights-on' alarms etc. 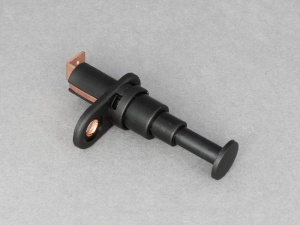 Can also be used as a bonnet or boot opening switch to activate security devices. Fits into a 12mm dia hole. Hole size for fitting: 12mm dia.